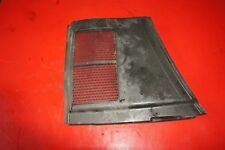 Other Part Number 8B2 819 447A. Manufacturer Part Number 8B2 819 447A. Reference OE/OEM Number 8B2 819 447A. AUDI A4 B6 1.9 2004 TDI AVF gris LY7Q. CUBIERTA PLÁSTICA DEL FILTRO DE POLEN. CAJA DE CAMBIOS: 6 VELOCIDAD MANUAL. Einbauposition: Rechts unten im Tank (Beifahrerseite). Originaler Geber im Tank für die Tankanzeige. Audi A8 4E Bj. Laufleistung: 123.646 Farbe Typ: Audi A8 Motor: 3,0 TDi. DONOR CAR: 2012 AUDI A5 S LINE BLACK EDITION COUPE 2.0 TDI MANUAL. BEFORE YOU SIGN FOR THEM . Audi 100 C3 200 V8 C4 Typ44. Tankgeber / Fuel Gauge Sender Unit. Sehr geehrter Kunde! Desplazamiento en cc 4172. Serie A8 4.2 QUATT. KFZ-Hubraum 4172 ccm. Tanque de combustible sensores eléctrico. Combustible Gasolina. KFZ-Modell Audi A8. KFZ-Typ A8 4.2 Quatt. Fabricante Audi. IT IS THE FUEL PUMP FLANGE SEALING RING. TO FIT AUDI A3 8P (3 & 5 DOOR HATCHBACK) 2.0 TDI QUATTRO MODELS FROM 2008 - 2012. ONLY SUITABLE FOR 2.0 TDI QUATTRO MODELS FROM 2008 . GENUINE AUDI PART. IN GOOD USED CONDITION AND FULL WORKING ORDER. 2.0 DIESEL 140 BHP CODE BLB. MODEL: A4 B7 2.0 TDI. MAKE: AUDI. TOP QUALITY CAR PARTS. All our used parts are in good condition and are tested prior to dispatch. PART NUMBER DOOR, ESTATE. Cash on collection. IT IS THE FUEL GAUGE TANK SENDER THAT FITS IN THE FUEL TANK. 1J0919133 - 1J0 919 133. This is fitted across a wide range of VW, Audi, Skoda and Seat cars and vans. This is a new,genuine VW Audi part. This is a Fuel Tank Sender Seal. This is a new, genuine part. Verkauft wird die Kraftstoffpumpe mit Staubehälter. Räder / Reifen. aus einem Audi RS6 C5 4B Modell 2003. Audi RS6 C5 4B 2003 - 2005. Es sind noch viele weitere Audi Teile auf Lager. Achsen/Vorderachsträger. AUDI 8K0919673A. VW 8K0919673A. Function Sender Unit, fuel tank. AUDI A4 (8K2, B8) 2.0 TDI Saloon Diesel 11/2007 12/2015 FWD 16 143 105. AUDI A4 (8K2, B8) 2.0 TDI Saloon Diesel 11/2007 12/2015 FWD 16 136 100. 321201375A - 321 201 375A. This is fitted across a wide range of VW, Audi, Skoda and Seat cars and vans. 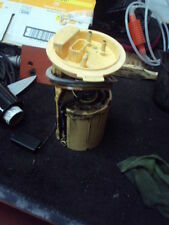 This is a fuel tank sender unit nut. This is a new,genuine Volkswagen part. This is a new,genuine part. Manufacturer Part Number 3D0919087. Bomba de combustible Audi A8 D3 NS gasolina izquierdo. Coche del donante: 2003 Audi A8 D3 4200cc. Se proporciona compatibilidad en algunos anuncios para dar una indicación de algunos de los coches que puede caber esta parte. USED PART so do not expect IDEAL AS NEW. DEPENDING ON THE SIZE AND WEIGHT. Will ask for proof/invoice of work done by specialist in cases of claims. Scottish Highlands. I reserve the right to send the parts that are not always in the picture. 1x neuer original VW/Audi Tankgeber für Kunstoff Kraftstoffbehälter . P/N: 1K0919050J. 08-12 SEAT LEON MK2/AUDI A3 8P 2.0 TDI DIESEL IN TANK FUEL PUMP SENDER UNIT. 2.0 TDI DIESEL. 2010 AUDI A3 8P. Nuestras piezas son OEM y provienen de un vehículo usado. Enviamos la mayoría de artículos en todo el mundo. FABIA 2011-15 MODEL YEARS (5J). FABIA 2015 MODEL YEAR ONWARDS (NJ). IBIZA 2013-15 MODEL YEARS (6J). IBIZA 6P 2016-17 MODEL YEARS (6J). A1 2011-18 MODEL YEARS (8X). POLO 2010-18 MODEL YEARS (6R). Genuine Parts & Accessories with Genuine savings! SEAT IBIZA MK5. Air Bag Complete Set. PART NUMBER: A2C 532 941 68 - 6R0 919 051. We are much cheaper than the MAIN DEALERS. OUR REF: 40. 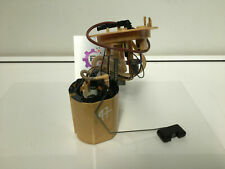 AUDI A1 S1 8X 2.0 TFSI IN TANK FUEL PUMP SENDER UNIT 6R0919051K. VDO 2910000224000. AUDI A6 Avant (4F5, C6) 2.0 TDI. AUDI A6 Avant (4F5, C6) 2.0 TFSI. AUDI A6 Avant (4F5, C6) 2.4. AUDI A6 Avant (4F5, C6) 2.4 quattro. AUDI A6 Avant (4F5, C6) 2.7 TDI quattro. AUDI A6 Avant (4F5, C6) 2.8 FSI quattro.